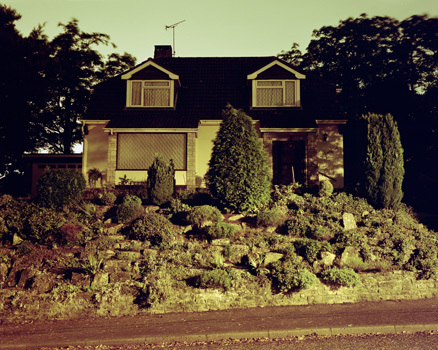 Houses. 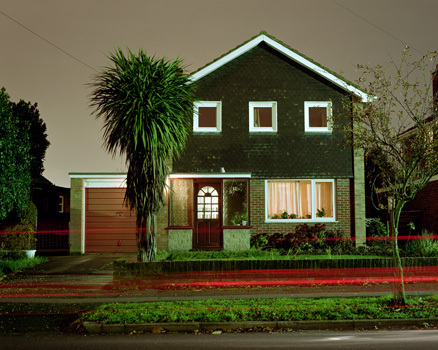 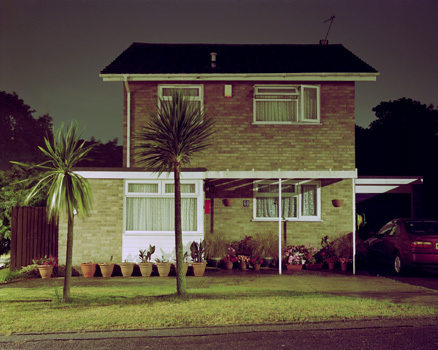 The photographs record houses late at night using two-hour long exposures. 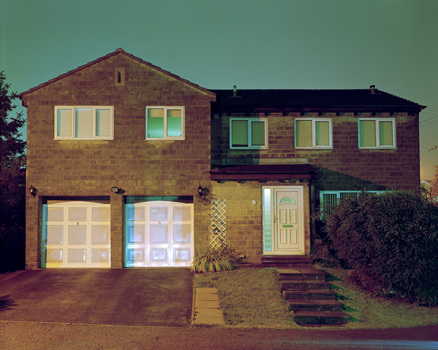 Although the range of houses reflect the individuality of our homes, these ordinary residences are shown in a way that cannot actually be seen with the naked eye. 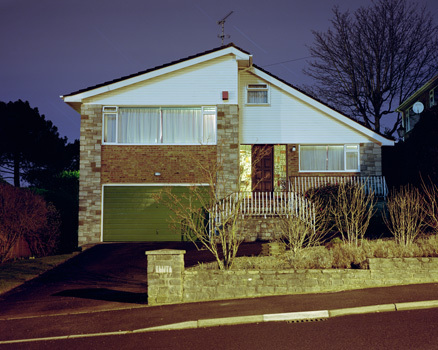 Seen from this detached viewpoint, they become portraits of the spaces we inhabit but they have gained a supernatural quality in the making with every aspect of light and detail being heightened, giving rise to odd shadows and strange light sources.